Vespa is simply the highest rated, smoothest-riding, longest-lasting, best selling scooter brand in the world – period! If you have ridden a Vespa you’ll know why instantly. Vespa is not only the oldest Scooter Company in the world, but they remain the industry leader in engineering and design – constantly working to build the best performing and most reliable scooters ever made. With over 50 new scooters in stock, and great programs on all in-stock inventory, the time to stop in and ride home on the scooter of your dreams IS NOW!! We have often been asked why do we only sell Vespa and Piaggio Scooters? The answer is simple. Because they are the oldest and highest rated scooters in the world. So when we had the chance to add scooters to our sales plan they were the only company we called. Over eight years later they remain the only scooter brand we carry for the very same reasons. 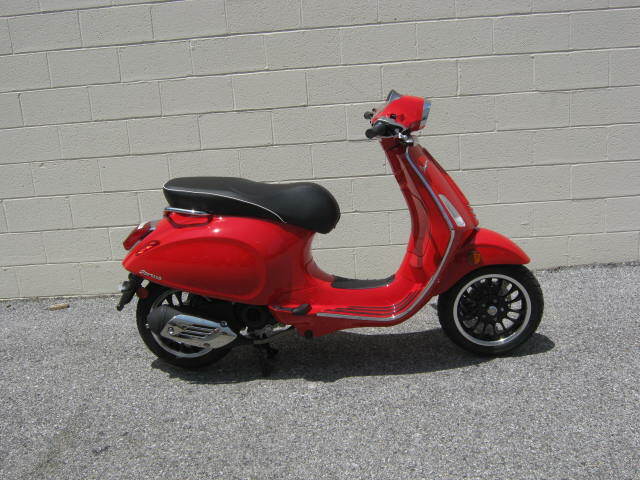 Stop in anytime to see our entire selection of Vespa and Piaggio scooters. If you don’t see it on our floor, we have over 50 more scooters in our warehouse so chances are we have what you are looking for so please ask. If we don’t have it we will do all we can to get it for you, that’s our promise. 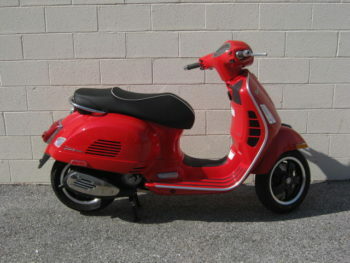 In addition to the scooters we carry, we also stock (and order daily) genuine Vespa and Piaggio parts and accessories. Plus we are a leading distributor for everything Scooter from companies like: Scooter Works, Western Power Sports and Tucker Rocky Manufacturing. So if you are a scooter fan, stop in and say hello. We are big fans as well. For over 65 years, Piaggio has combined classic style with the latest technology to deliver the best scooters in the world. They launched the Piaggio line under their parent name as a way of delivering world-class scooters (much like their Vespa line), only at prices that are slightly less than traditional Vespas. Piaggio’s are no less a scooter mind you, it’s just that they are made with more bolt-on plastic (vs Metal) parts in Piaggio-owned factories outside of the main Vespa plant to deliver a more price-competitive unit. However, they still share the same pedigree and engineering excellence that Piaggio is famous for in everything they build – from Vespa Scooters to Trains and planes as well. 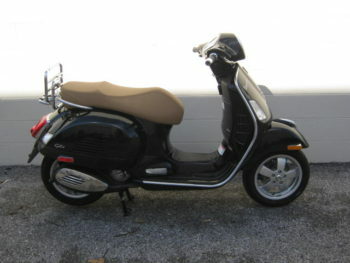 Stop in anytime to check out our extensive Piaggio inventory. We only sell the best because we believe you should only ride the best! Chesapeake Cycles is not responsible for any misprints, typos, or errors found in our website pages. All prices exclude: sales tax, registration and title fees, tag fees, and delivery fees. Manufacturer-provided pictures, specifications and features may be used as needed. Inventory shown may be only a partial listing of our entire inventory. Please call us at 410-266-0015 for availability as our inventory changes rapidly as do the monthly promotions. Spring Specials. Owning a Vespa costs less than your morning coffee! On MY19 & MY18 4.99% APR for 36 months, No Payments and No Interest for 6 months! OR 1.99% APR for 36 months OR 4.99% for 60 months. MY20 5.99% APR for 36 months. Less than your subway ride! MY19 & MY18 4.99% APR for 36 months, No Payments and No interest for 6 months OR 1.99% APR for 36 months OR 4.99% APR for 60 months.